Modern and spacious apartment with a luxurious beach feel - only seconds from shops and beach with great views and holiday feel. Sleeps 6 in two well appointed queen sized bedrooms (one with spa ensuite) and a double bunk room. *Three bedrooms all with built in robes and en suite to main bedroom complete with corner spa bath. Two bedrooms have queen sized bed, third bedroom has bunks suitable for children/adolescents and smaller adults! -Visit the historic Cape Otway Light station – climb to the top for amazing coastal views. Quality accommodation in idyllic setting. Once again, we had a relaxing stay over the Christmas break at this property. Great location, wonderful ocean and mountain views and easy access to the beach and shops for the kids. The accommodation is well kept, there is plenty of room and well sourced. We will definitely return here for another visit. We stayed here a week before Christmas and truly enjoyed everything about this property, including it’s great location. Close to all the shops, the beach and the grocery store, you couldn’t ask for a better spot. The place is well stocked, has a good sized fridge, comfy beds and nice couches. The only thing missing that would be a nice to have is wifi. The hosts are very responsive to all inquiries. No. 11 The Butter Factory. FANTASTIC! Our second stay at no. 11. Family had a great time again. Plenty of space and great location. 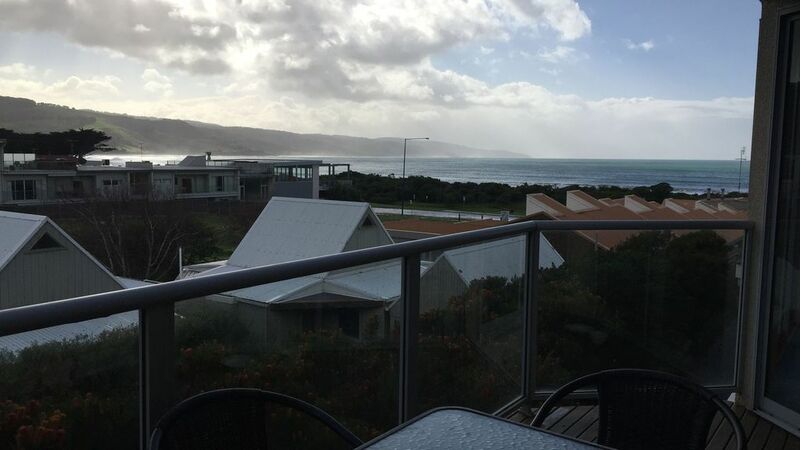 We have previously stayed at three similar properties in Apollo Bay and the Butter Factory is by far our favourite. As I said last time, we will be back. My partner and I enjoyed 4 fantastic nights at the Butter Factory! The apartment is in a perfect location and has everything you need. Fantastic views, clean, cosy and homely. Stayed 10 nights with our three kids and had a great time. Clean, spacious, great view, only 100m to the beach and close to shops. Double garage was great, we brought everything, two cars, four bikes, loads of space. We will be back for sure! Wonderful week's stay, everything was thought of in the unit, very comfortable. Richard and Jenni are lovely and great to deal with. It was very easy to wonder over to the beach or next door for coffee or to go to the supermarket or shopping strip. Decor very tastefully done (FYI coffee machine in cupboard). Deck an added pleasure to view the water or the mountains. We would love to go back. Nat, Paul and kids.